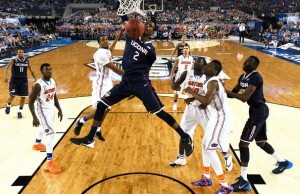 The Connecticut Huskies have won the 2014 NCAA Men’s Basketball Championship defeating the Kentucky Wildcats by a 60-54 score at AT&T Stadium in Arlington, TX. Connecticut entered Monday’s game 31-8 while Kentucky was 29-10. Few could have envisioned a No. 7 in Connecticut facing off against a No. 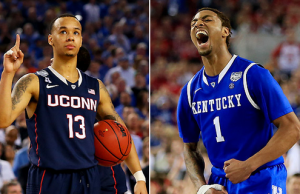 8 in Kentucky when the Men’s Basketball Tournament but that is exactly what happened on Monday night. 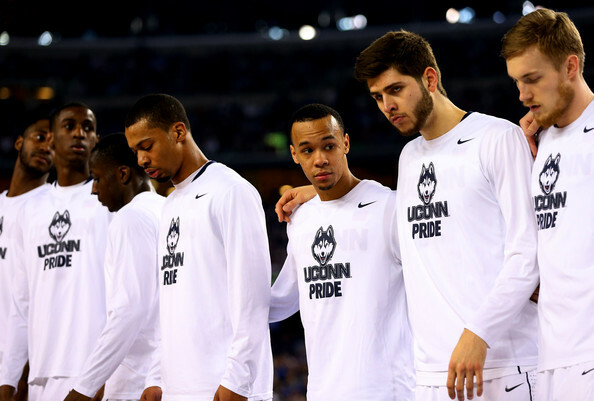 When it was all said and done it was UConn winning their fifth championship, their last came in 2011. The championship becomes the first under Kevin Ollie. UConn jumped out to an early lead and by midway though the first half held a double digit lead. Before long it was a 15 point lead but then Kentucky begin to pick off points as the pace slowed going on a 12-3 run, getting it down to a six point lead with two minutes left in the half. At halftime it was UConn nursing a four point lead 35-31 over Kentucky. With less than eight minutes in the second half Kentucky cut the lead to one point for the third time. With less than a minute left it was UConn holding a four point lead. UConn was able to hit to key free throws with just under third seconds left while Kentucky was unable to land a three and ended up losing 60-54. Copyright © 2013 Tireball NCAA BB News, Rumors, Gossip and Opinions. All Rights Reserved.